Did you know that singing changes your brain? You’re invited to experience the joy, freedom and inspiration of song at your local With One Voice choir! Creativity Australia believes it offers an arts-health social inclusion program unique from any other. Through the With One Voice program, barriers of age, race, language, religion, disability and disadvantage are removed to make everyone welcome. Why singing? Because neuroscience proves singing connects neural pathways in the brain differently, releasing endorphins, making people healthier, happier, smarter and more creative. Using singing as the vehicle for community inclusion is the centrepiece of why our program works. Music is a powerful social magnet and acts as a super “social glue” that binds people together. The more we use music to bring us together—literally and figuratively—the more potential for increased empathy, social connection, and cooperation. With One Voice Melbourne was the first With One Voice choir, having started in 2009. We have a diverse range of members from every corner of the globe who love to come together and sing their hearts out each week. No singing experience necessary, everyone is welcome. Join Now! We’re a charity recognized as one of the nations top social innovations. 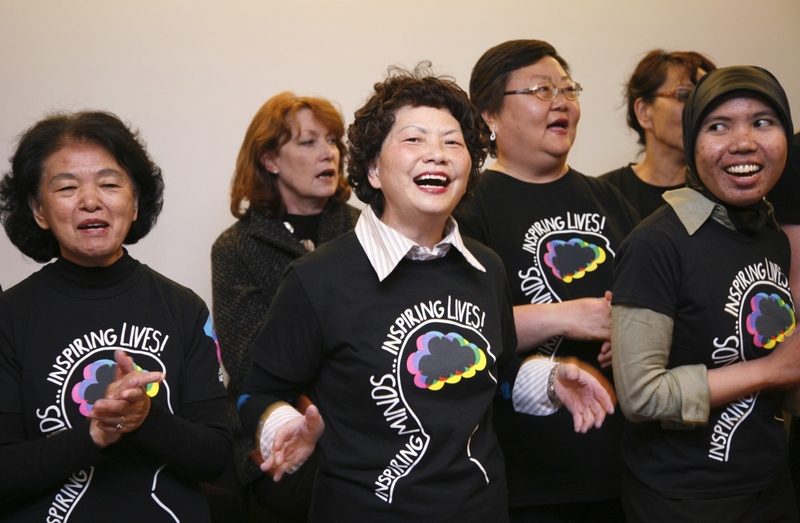 Our inclusive choirs unite communities and improve wellbeing in Australia and globally. Hey everyone check out the Melbourne Sing for Good entry. Our group is open to absolutely anyone, we have people from all walks of life! We get together in the heart of Melbourne to sing classic songs, challenge ourselves, perform together and have a huge amount of fun. With One Voice Melbourne Has a New Home! With One Voice Melbourne Has a New Home as of May 10th: The Assembly Hall of The Scots’ Church, Melbourne. 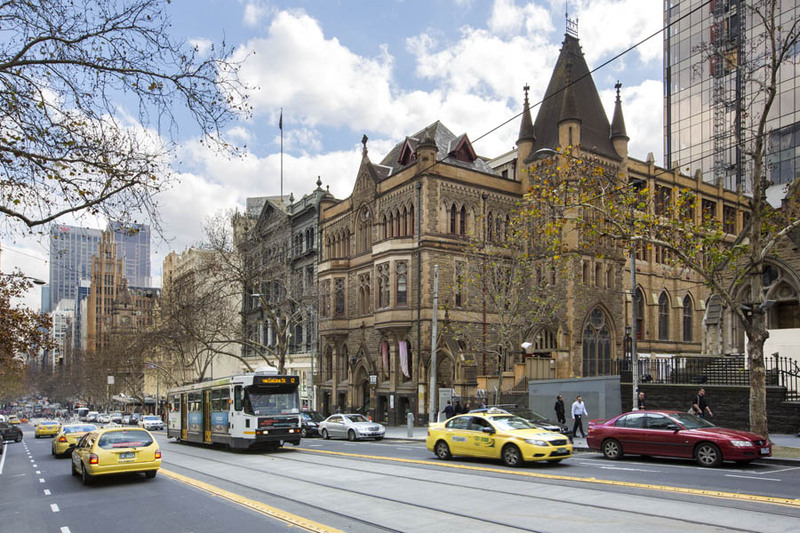 We are delighted to announce that as of Tuesday 10th May, With One Voice Melbourne will have a new location. 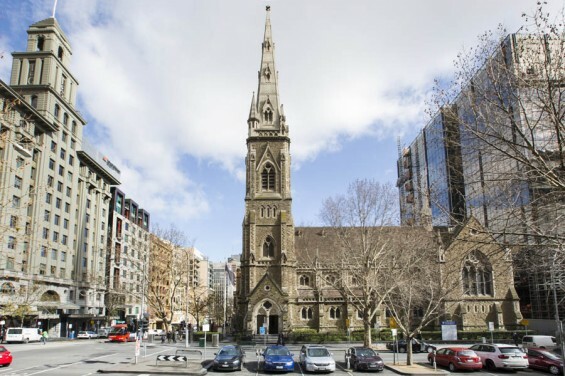 The Assembly of The Scots’ Church Melbourne is located on the corner of Collins and Russell Sts, in the Melbourne CBD. With One Voice Melbourne meets on Tuesdays 6:00pm – 7:15pm. Speaking English is not even a requirement! After rehearsal we all get together and have a chat and laugh over supper. We are always on the hunt for new participants – So please come along and try it out! Building is beside The Scot’s Church, enter via on Collins St up the stairs or Westpac laneway for wheelchair access.